How to Flat Iron Natural Hair in Just 4 Easy Steps with Our Fave Products! Those with natural hair can attest to one thing: They all love the versatility of their hair type. Curly today, straight tomorrow and back to curly once again—who doesn’t love a good switch-up? And who doesn’t love not having to take a trip to the salon and still achieving salon-like results? Also, for you curly girls that are still stumped on how to flat-iron your ringlets, it’s a super simple process and we can help! The best flat ironing results begin with clean, moisturized and well-protected hair (more on that later). 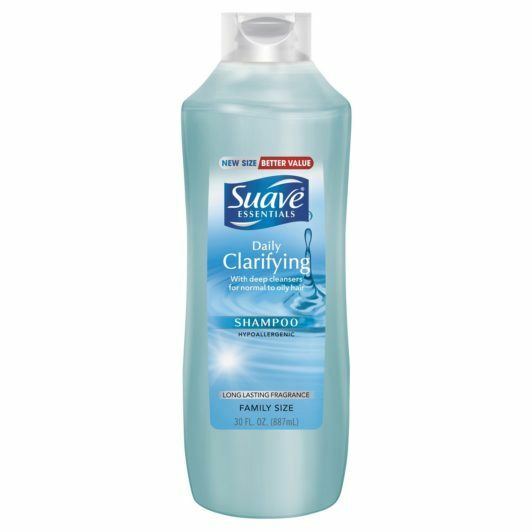 Start by using a clarifying shampoo like Suave Essentials Daily Clarifying Shampoo. This will rid your hair of dirt, oil, product and any environmental grime. Follow this up by treating your hair with a deep conditioning treatment or mask, like Dove Anti-Frizz Oil Therapy Hair Mask in preparation for your flat-ironing routine. 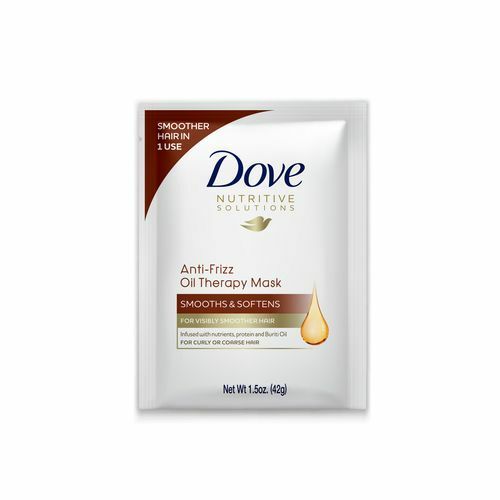 This will hydrate your hair and help prevent frizz. Step 1: Protect and blow-dry. 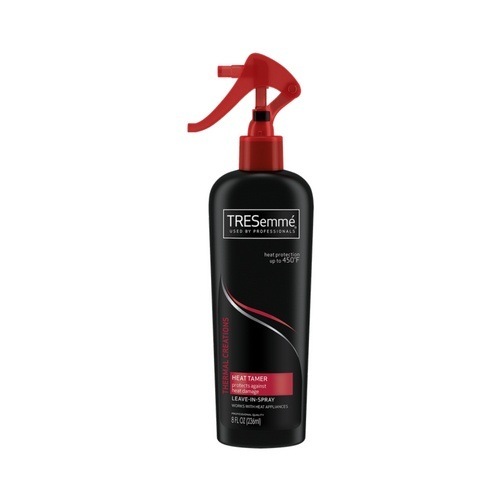 Starting with clean and damp hair, apply a heat protectant like TRESemmé Thermal Creations Heat Tamer Spray—especially if you want to see those curls ever again! Allow your hair to air-dry on its own for a few minutes to cut down on blow-drying time. Less time, less heat—music to any natural girl’s ears. Blow-dry your hair in sections using a wide-tooth brush to help prevent breakage. Comb attachments from your blow-dryer can cause tension and break the hair; remove that attachment and replace it with the concentrator nozzle, which helps the airflow directly onto the section of hair you’re focusing on. If you don’t have a brush, you can also use the tension method by holding your hair tautly at the ends while blow-drying in a downward motion. A lot of curly girls swear by this method as they have reported less heat damage specifically when using a lower heat setting while blow-drying. To explain: Heat and tension both help to straighten locks. The two methods together can give you the luxury of deploying a lower heat setting. There are parts of your hair that need lower temperatures than others. For example, your crown may be thicker than the hair at your nape. Use a higher heat setting on the thicker parts of your hair as they can handle a higher temperature (and will most likely need a higher setting in order to straighten), and use a lower heat setting where your hair is thinner. This will also help prevent heat damage to the thinner areas of your hair. If you’re curious to know which heat setting to use, conduct a patch test first on different areas where texture and thickness vary. However, don’t go any higher than 450 degrees, as you’re not baking cookies! Find that happy medium. Some naturals desire a sleek and shiny look, you can achieve this by using a silicone-based serum and apply section by section before flat ironing. 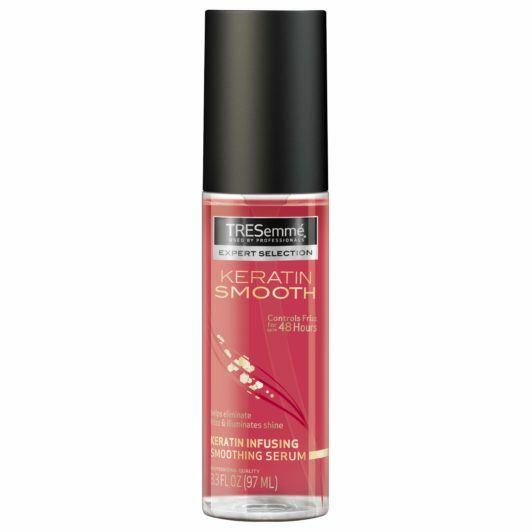 Try TRESemmé Keratin Smooth Shine Serum. Silicone-based serums deliver smoothness and shine to the hair. As you flat iron your hair, use a rat-tail comb to chase. The chase method refers to applying a comb in front of the flat iron as you glide towards the end. This technique aids in even heat distribution among each strand. Pass the flat iron along your hair once, but try not to do it twice. Continue this process throughout the entire head. Step 3: Finish with shine. If you didn’t use a serum while flat-ironing, you may apply it now to give hair a smooth and shiny finish. Smooth a dime-sized amount onto your hair from root to tip, focusing more on the ends to prevent dryness. Opt for a serum that aims to fight frizz and prevent humidity. Step 4: Maintain your flat ironed style. Wrap your hair around your head using your brush to maintain your look and prevent your hair from reverting back to its original state while you sleep. Oftentimes you tend to break a sweat during sleep, and that’s a no-no for our newly straightened strands. Secure locks with a silk or satin scarf to keep in moisture and prevent frizz. Pro tip: Another way to maintain your hairstyle during the week is to use dry shampoo. Yes, curl-friends, we can use this product, too. 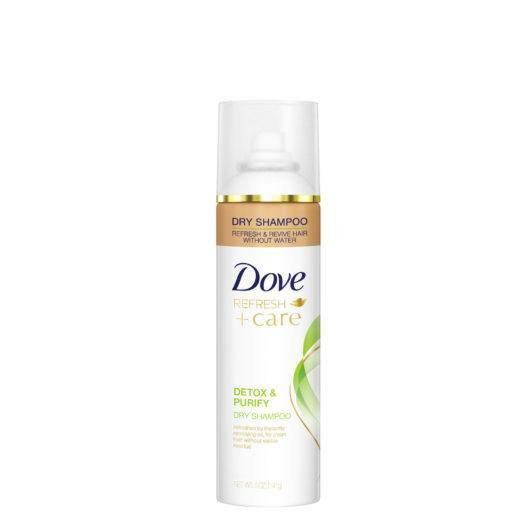 If the hair gets oily and flat, spray Dove Detox+Purify Dry Shampoo at the roots to absorb oils and revive your hairstyle. Utilize oil-based moisturizers to moisturize the hair during the week, as water-based moisturizers will cause the hair to reset. How to maintain straight hair during fall.